The quilt tops finish out to 36.5″ by 48.5″. 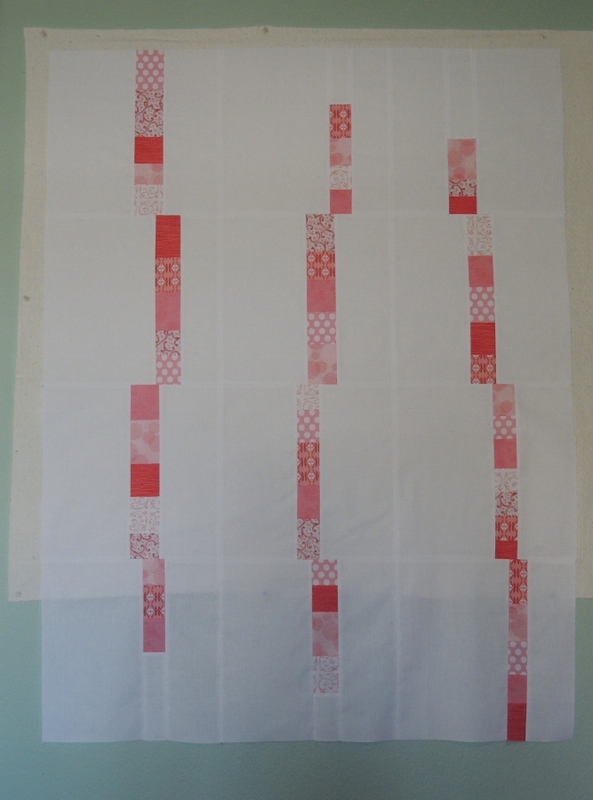 After quilting and a wash, I am estimating that they will finish out at 34″ by 46″. I played around with the width of the stripes for these quilt tops, which is something that I regretted not doing on Blue Spring Rain. I really like the motion in the quilts, and I am excited to quilt and bind these later in the week. I absolutely love this one. It’s such a simple but beautiful pattern. Of course I prefer the blue (I just like that color! ), but this pink is adorable on a baby quilt. A couple of lucky little girls will be getting these, I’m sure! I love your pattern! This design would be fun in multi-color too. Thank you. I agree that this pattern would look good with lots of different variations! These are very cute! Are you planning to quilt them the same as the first? I think I might do one that way and the other with all over hearts. We’ll see what strikes me once I get them pin basted!